I got a Twitter notification today of someone now following GuitarGear, so I checked Twitter to see who it was, and was intrigued by their website URL: http://www.pointlesspicks.com. Curious, I clicked on their link and was taken to their site. Sure enough, it was a product site dedicated to picks that were – as the name implies – pointless. 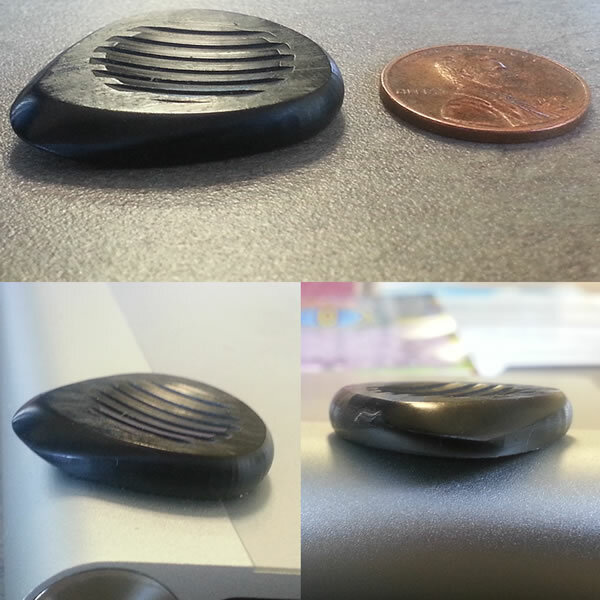 These are perfectly round picks, made of a polymer called Acetal. Acetal is a thermoplastic and apparently one of the stiffest and most durable plastics in the thermoplastic family. 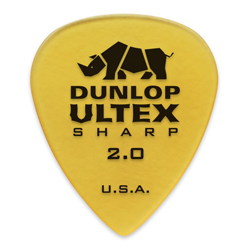 It has a variety of uses, and often competes with nylon for the same applications, according to the Plastics Web, such as the production of plectrums. These picks are very interesting to me at first blush. As they’re round, there’s not a “wrong” way to hold them. And if you’re the type of player that almost always rounds off their points or plays with the fat end of a standard pick, then this pick may be appealing to you. It’s certainly a novel idea, and apparently they’ve got a lot of retailers selling them. They won a “Best in Show” at Summer NAMM last year, so obviously these picks made an impact on the judging panel. Unfortunately, there aren’t many reviews of them, and the few that I found were pretty much copies from a single review, which was fairly short. I only found one video on YouTube that mentions Pointless Picks, and it wasn’t a review, though the guitar playing was pretty good, but you can’t see the dude using the pick! Personally, I’m not sure how I feel about these. I love big fat picks, and these come in 1mm at their thickest. But if they’re really stiff, I may just like them. But it makes me wonder how to do fast alternate picking with them. I’m not a particularly fast player, but I hold my pick at about a 45 degree angle when I’m picking individual notes. It would seem to me that at that angle, the pick would just slide over the string. Maybe there’s some inherent friction…. Guess I’ll have to try them out to see what they’re like. But hey! Best in Show at NAMM is nothing to shake a stick at, so I’m game! Anyway, for more information, check out the the Pointless Picks web site for more information. It’s a Great Time to Be a Guitarist! Right now, it is an absolutely AWESOME time to be a guitarist! There is so much great gear out there nowadays, that it’s hard to choose what to get. But the great thing is that there is SO MUCH to choose from! For example, look at all the great overdrive pedals that are out there right now. It is freaking amazing, I tell ya! I say “at least for now” because if you’re a gear freak like me, it’s not too long that you want to add something to your rig to enhance your tonal palette. It’s a bad disease, this gear addiction, but it is oh-so-incredible. But back to the topic at hand, with this much gear, you might think that the likelihood of making a bad choice is also fairly large. But the interesting thing that I’ve found is that most of the gear out there is really high quality, and not only that, at great prices. Take, for instance, handmade, hand-wired boutique amps. Traditionally, boutique amps have sold for thousands of dollars. But there are some boutique manufacturers out there that are creating great-sounding, high-quality, hand-wired amps for a reasonable price. Most of these are “entry-level” amps meant to establish the manufacturer’s sound and quality, and to provide inroads to their flagship products. A good example of this is the recently released Reason Bambino, an 8/2 Watt tone machine. Priced at $699 and packed with tons of features, this is one of those must-have amps for the studio, and for small venues; not to mention that the tone this amp produces is simply to die for! Then there are manufacturers like Valve Train Amps and Aracom Amps who simply make reasonably priced, hand-wired amps. Period. Their philosophy is that great tone doesn’t have to cost a lot. And while they’d probably admit that their margins are lower compared to their more expensive brethren, they’ll be the first to say that they want to get their gear into as many players’ hands as possible. With Aracom’s VRX series, that has been the case. Jeff has found a real magical tone with the VRX series (they come in 18 and 22 Watts EL84/6V6 respectively). The heads are $895, and they sound absolutely KILLER! He has been selling these things as fast as he can create them! But I believe the greatest stuff is coming from the pedal makers. There are absolutely killer pedals out there! And it seems each week brings yet another promising pedal to the industry. There are so many, I can’t keep up with them! Off the top of my head, here are some stellar pedals that have recently come out that are worth a look: TC Electronic Nova Repeater, The Original Geek GeekDriver, Kasha Amps Overdrive, Effectrode Tube Driver, Catalinbread Dirty Little Secret, Tone Freak Effects Abunai 2. Yeah, yeah, I’ve mentioned OD pedals. Well, you know how much I love ’em. 🙂 My personal favorite right now is the GeekDriver, and it will always be on my board. It’s not really an overdrive, and it’s not completely a booster. It’s something in between, and it’s freakin’ awesome, especially when it’s used to drive my Abunai 2, or Creation Audio Labs Holy Fire. As Geek explained to me, the GeekDriver was meant to be stacked. Very cool! And at $205, it is not out of this world. Even things such as strings and picks are out there for us to enjoy! As far accessories are concerned, they actually start getting a bit more pricey at the “boutique” level, but they are so worth it! I swear by Wyres Strings and V-Picks and Red Bear Picks. 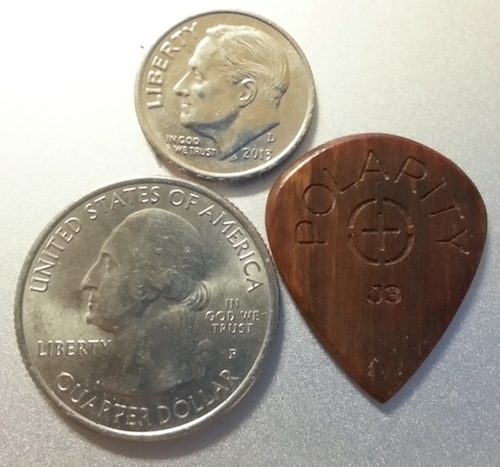 Especially with the picks, I’ve paid up to $30 for a single pick, but they last a long time with care, and not only that, they feel so good in your hand that you don’t even notice that they’re there. And that’s what a great pick will do for you. I could go on talking about great gear that out there, but I’ll just say this one more time: It’s a great time to be a guitarist!